Resume Baker is amazing! The service is super fast and efficient. Hertzel is professional and returns emails quickly – even on the weekends! Your resume will definitely stand out amongst the rest. What a fantastic experience working with the Resume Baker! Quick to respond, efficient turnaround and most of all pleasant to deal with. I Highly recommend to all! 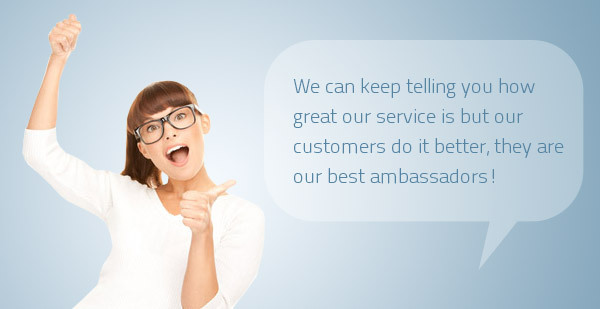 ResumeBaker not only provides a great product at a reasonable price, the service is exceptional. The designer I was assigned to was very diligent in asking me questions to make sure the end resume met my needs. Additionally, he was very timely with any revisions I asked him to make or providing a different document size. I’m extremely happy with ResumeBaker and will recommend it to anyone. Resume Baker was prompt to reply to any questions and produced a very professional and polished product. I would highly recommend their services. Several months since I have been un-employed I had sent my previous resume to countless potential employers with little or no success. After receiving my resume from Resume Baker I upload the revised resume to through all employment sites and employers and within minutes to an hour I received raving reviews , compliments of the professionalism of my resume. I must say my resume stands out, I was very impressed with the design, format and appeal of the Resume Baker resume. Also they are very courteous and produce results in a timely fashion, I am looking forward to consulting with Resume Baker in the future regarding my resume service. I love my new revamped resume!!! I am so excited to start sending it off to jobs!!! ResumeBaker was so nice stayed in contact with me through the whole process. I had my new resume in no time!! Thank you so much ResumeBaker I am so happy with my new fun resume!! I got a new resume design with sleek and modern lines at Resume Baker. After sending it to a few places, I got two answers and end up even having to choose my new job. Excellent work and fast turnaround, I will definitely recommend your service! Thanks for all!!! Love it! It has exceeded my expectations and was delivered before the promised time. Highly recommended if you want to upgrade your CV. I was extremely impressed with the professional attitude and the helpfulness of Hertzel, he was extremely dedicated to ensuring my resume was perfect to the request I had made and worked to tight deadlines to ensure it was ready in time. He has a creative and detailed eye and is hardworking and did go over and above to help me, I would highly recommend his service. I Couldn’t ask for better. Thank you sooo much 🙂 Very professional and the result is outstanding!